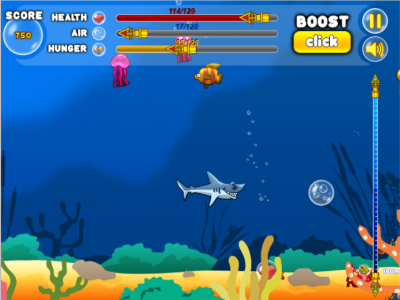 Shark Attack is a cool action game in the sea. Your task is to find food for the shark. Eat all the creatures in the ocean like fishes, divers, birds, ... Use the mouse to play.